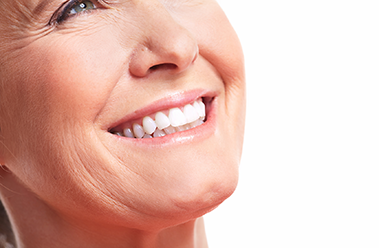 Inlays and onlays require two appointments to complete the procedure. During the first visit, the filling being replaced or the damaged or decaying area of the tooth is removed, and the tooth is prepared for the inlay or onlay. To ensure proper fit and bite, an impression of the tooth is made by the dentist, and sent to a lab for fabrication. The dentist will then apply a temporary on the tooth and schedule the next appointment. At the second appointment, the temporary is removed. Dr. Hutchens will then make sure that the inlay or onlay fits correctly. If the fit is satisfactory, the inlay or onlay will be bonded to the tooth with a strong resin and polished to a smooth finish. Inlays and onlays are bonded directly onto the tooth using special high-strength resins can strengthen the tooth. In some cases, where the damage to the tooth is not extensive enough to merit an entire crown, onlays can provide a very good alternative.